India has been given the go ahead for an unmanned space mission to the Moon. Lift off will commence on 22 October, some six months after the space voyage was originally meant to happen. 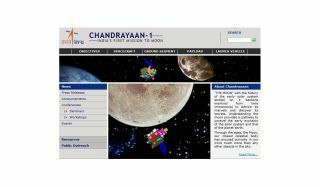 Codenamed Chandrayaan-1, the mission is the first time India has embarked on a trip to the moon. Lasting for two years, scientists working on the space program are hoping to feedback some hi-res imagery of the moon's surface, courtesy of the shuttle's on-board Terrain Mapping Camera. The TMC will create, according to Chandrayaan-1's website, a 'three-dimensional atlas with high spatial and altitude resolution'. This type of hi-res digital mapping will help scientists understand the evolution of the Moon. And that's not the only piece of exciting technology on board, with the spacecraft housing a Lunar Laser Ranging Instrument (LLRI), which will analyse the topography of the moon, and a High Energy X-ray Spectrometer (HEX) which will study radioactivity. The mission is costing a cool $83million and has been gestating since 2003. At the moment 100 Indian scientists are involved, and six other countries, including the US and Europe, have been adding input.